If you're a Nintendo Switch user who played the original Captain Toad: Treasure Tracker on Wii U, you may want to get to the new Super Mario Odyssey stuff right away. Fortunately, there's a way to do just that. Captain Toad: Treasure Tracker released this week on Nintendo Switch and Nintendo 3DS. The game will be a largely familiar experience for anyone who played the original game on the Wii U back in 2014. But these newer versions of the game do offer up a few new features. The most intriguing feature is a series of levels based in the world of Super Mario Odyssey. So how does one get to these stages? Sure, it's possible to play through the entirety of Captain Toad's original Wii U adventure, but that's going to take some time. 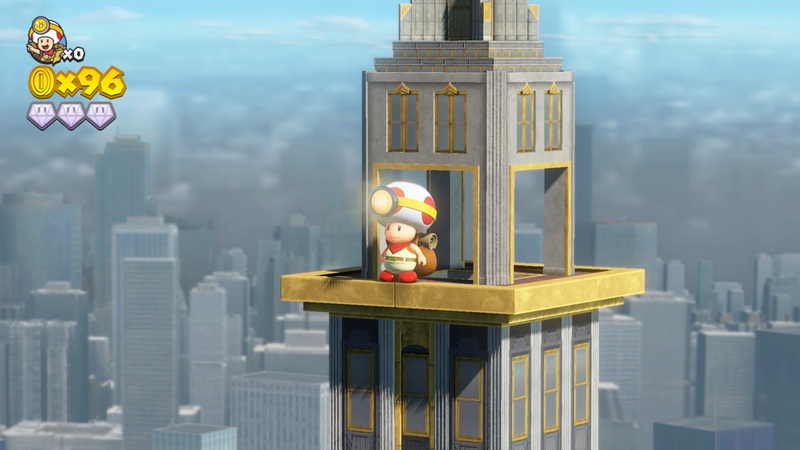 What about the person who wants to get to the Inverted Pyramid and New Donk City right away? Fortunately, there's a shortcut. Scan the amiibo and the game will recognize it as a "Wedding" amiibo. The game will return to the main menu, with a new "Bonus" mode. This Bonus mode contains four stages based in the world of Super Mario Odyssey, which includes a visit to the Inverted Pyramid, New Donk City, and a battle against the Cookatiel boss from the Luncheon Kingdom. Each of these stages has their own distinct challenges and unique Super Mario Odyssey-related mechanics. Best of luck and go for the high score!